Plans to light up Waterloo Park are underway, lining up Waterloo to be the first of it’s kind in North America to have an illuminated trail. 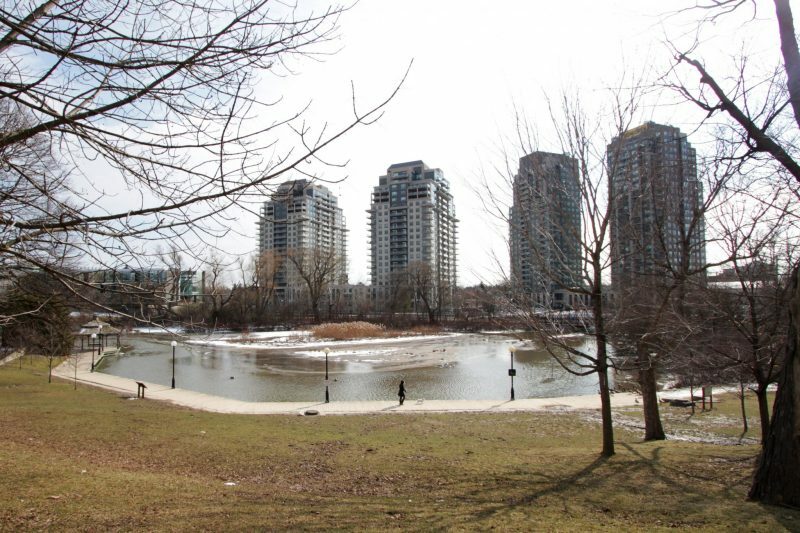 Waterloo Park has a promenade, which is the main trail between Seagram Drive and uptown Waterloo. The City of Waterloo has also looked into properly completing another part of the trail that runs behind the Perimeter Institute towards Caroline Street. The plans for the completion of the trail is to make it more accessible for the community and for the many guests that visit the Kitchener-Waterloo Region. The materials include lights and glowing stones for the trail. The plan is to make to make the trail glow and has thus been coined The Glowing Trail Project. Waterloo councilor Diane Freeman shared some valuable information regarding The Glowing Trail Project and why it’s important to invest into the physical spaces of the Waterloo community. “Right now, the city estimates that 30,000 people use the trail location, 350,000 people use the promenade and all of those trails are currently un-lit, so you can imagine more people would use them if they were lighted trails,” Freeman said. The trail is meant to encourage the already vast number of people who use the current un-lit trail to keep using it, as well as invite new members of the community to use the new glowing trail. “Imagine that 30,000 people are already using a trail and it’s currently gravel and mud. A lot more people would be willing to use the trail if it were lit up,” Freeman said. The Glowing Trail is the first of its kind in North America but comes from European inspiration. Specifically, it stemmed from a project found in the Netherlands. The similar path is lit up like Van Gogh’s Starry Night painting. When it comes to the purpose of The Glowing Trail project in Waterloo, Freeman expects that it will mean a lot more to the community then just a walking trail. “It will be a piece of public art and will create a sense of place making,” said Freeman. The significance of the trail is also important because of the many international visitors who attend The Perimeter Institute and the Centre for International Governance Innovation. “When you recognize that that intersection already is a very significant destination in Waterloo then you can understand why it is important to invest in that location with something as unique as a glowing trail,” Freeman said. The funding for the project is made possible by a budget of approximately $800,000, approved by City Council. “Council has a approved a budget of $800,000 and that will be coming from two different reverse funds. One of them is the upcoming uptown development reserve fund and other is a capital reinvestment reserve,” Freeman said.